Concertmaster under the name Concept Creator presented the visualization of the design flagship smartphone Samsung Galaxy Note 10. The movie concentrated on the appearance of the device, not the «hardware» features, but you can see the main camera with four sensors, Snapdragon chipset modem 5G stylus S Pen with a functional button, and surviving Jack for headphones. 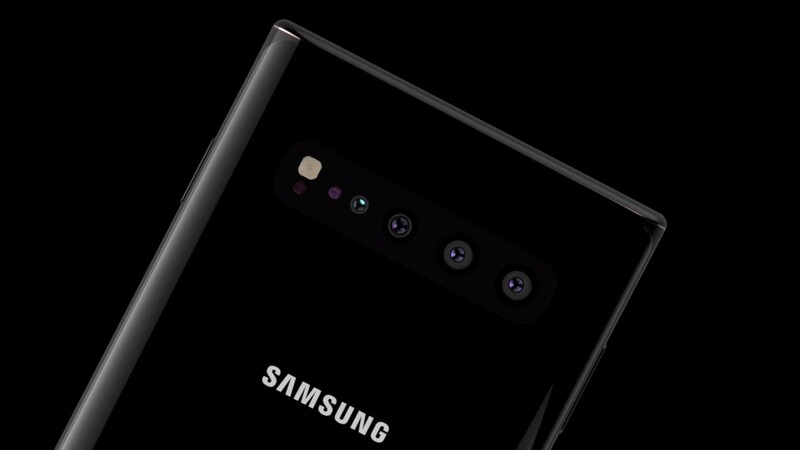 The front camera is placed at the center top of the display, unlike the Galaxy S10, where the module is located on the side. On the left side, in addition to the volume rocker, there is a button Bixby. The sides of the screen are a little rounded. The author separately notes that the concept is not based on leaks. Recently it became known that Samsung will release four versions of the new Note, which will be different diagonal displays and the presence of modem 5G. The presentation of the Galaxy Note 10 is likely to be held in August 2019. SEOBERG — The smart devices and gadgets reviews, Сайт работает на WordPress.